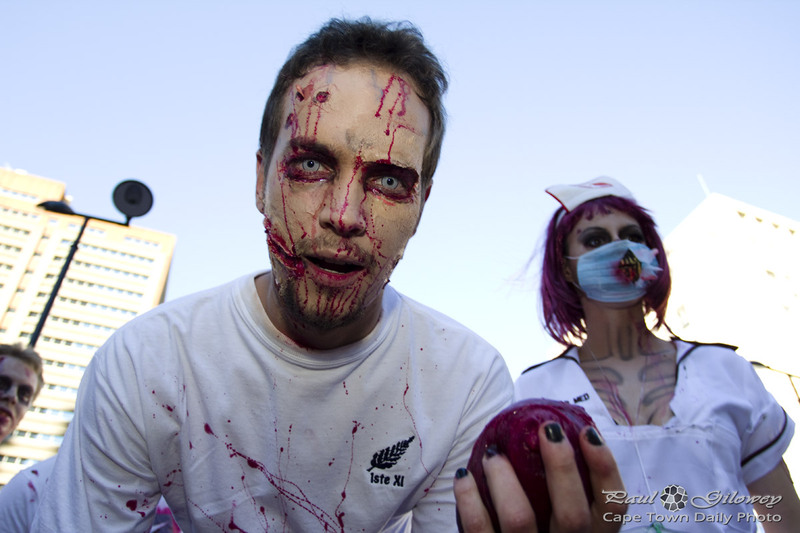 Read more about the Cape Town Zombie Walk here. 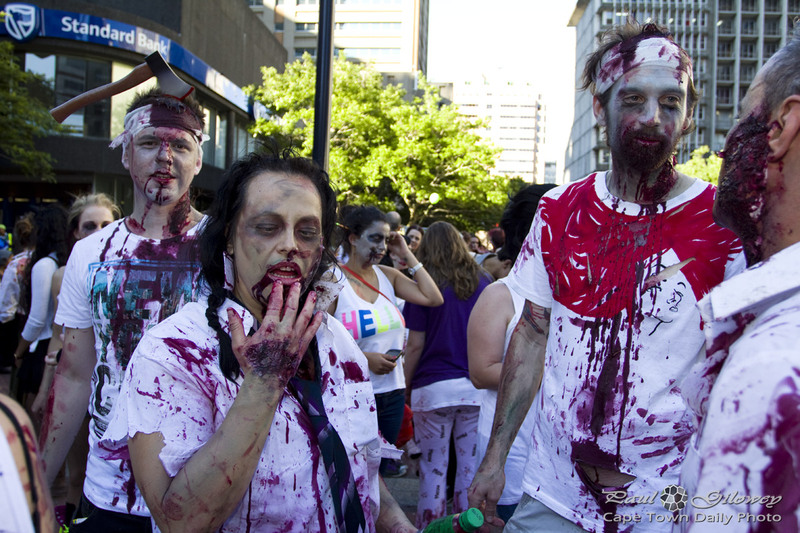 Posted in General and tagged zombie on Sunday, 3 November, 2013 by Paul. Posted in General and tagged zombie on Saturday, 2 November, 2013 by Paul. 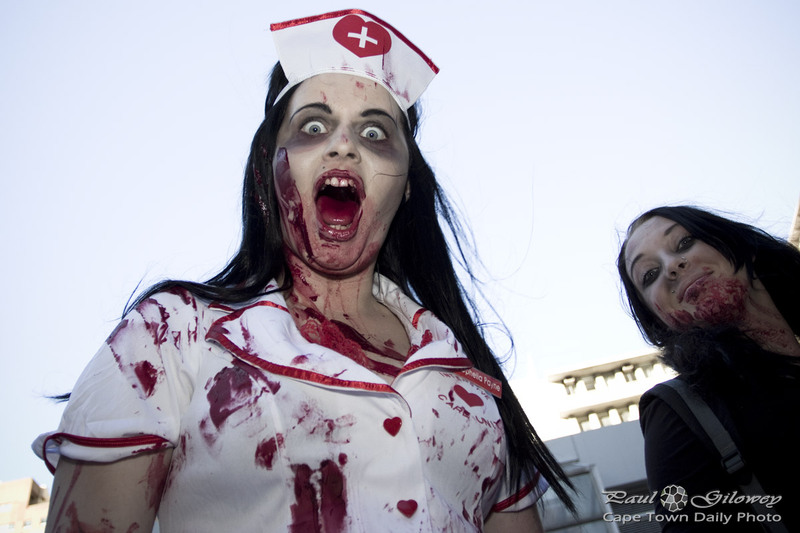 Posted in General and tagged zombie on Friday, 1 November, 2013 by Paul. 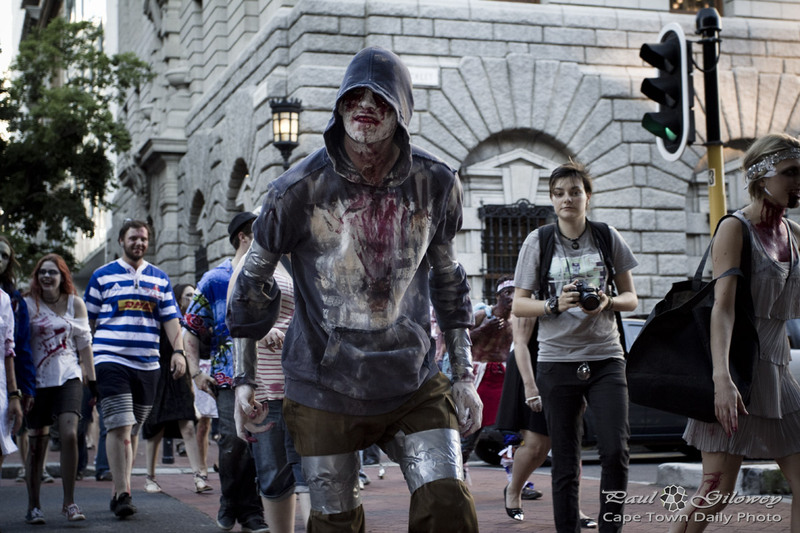 Some zombies just aren't made to be zombies. But then, I suppose, if all that zombies wanted was a party... well, that would clear up a whole lot of mess. 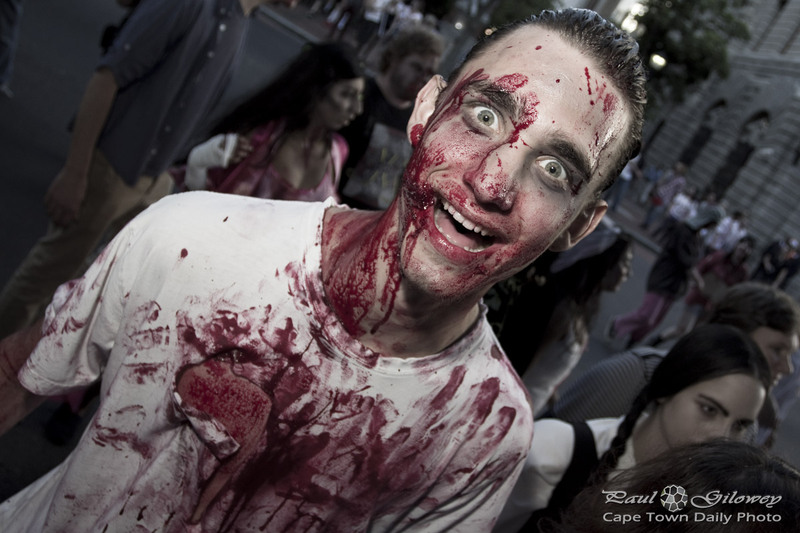 Posted in General and tagged zombie on Thursday, 31 October, 2013 by Paul. Okay, so (against odds) I'd have to give the zombie on the left the Cutezie-Zombie badge - which is, as I guess you'd imagine, a spur-of-the-moment made-up badge. I mean, who goes to a zombie-badge party expecting to hand out a Cutezie-Zombie badge? Now, with that one out of the way - that grinning blue one, on the right; he definitely wins the Creepy-Zombie Delux with Extra Chocolate Sauce badge. Yoh man, that is one eerie (I'm not going to sleep tonight) kinda grin! 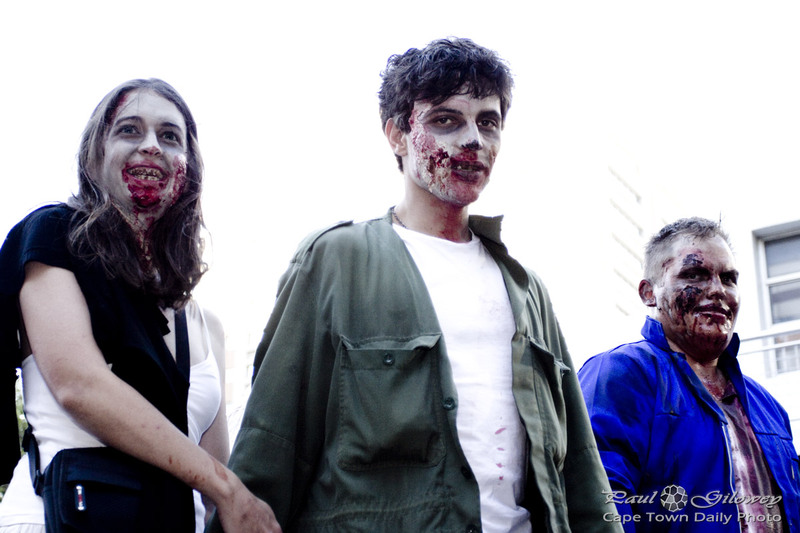 Posted in General and tagged zombie on Wednesday, 30 October, 2013 by Paul. Posted in General and tagged zombie on Tuesday, 29 October, 2013 by Paul. 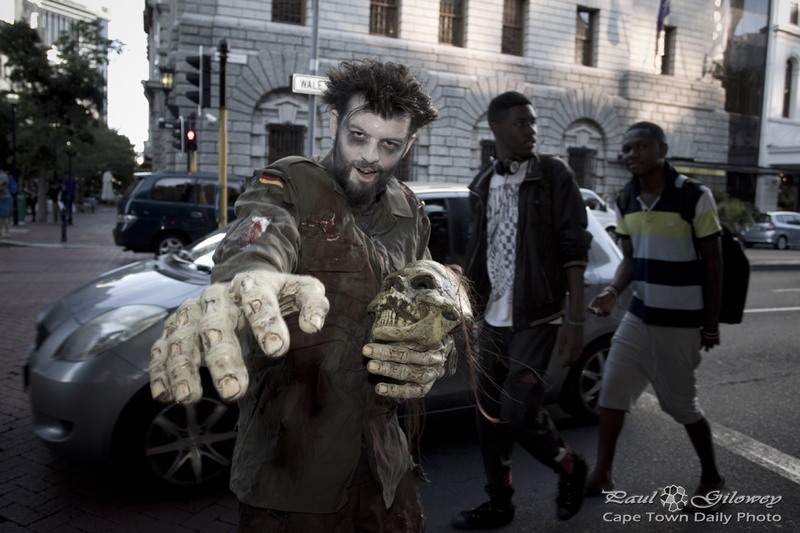 A friend and I went along to the Cape Town Zombie Walk in the city center. The walk was organised to raise money for the Lucky Lucy Foundation - a charity that helps take care of abandoned, abused, and neglected animals. I'll be sharing a few more photos in the next few posts, but click here if you'd like to see the complete album on our Facebook page. Posted in General and tagged zombie on Monday, 28 October, 2013 by Paul.